Revis went after a contract similar to Asomugha, however a lot of NFL people pointed out that Al Davis went stupid with what he paid out, and Revis didn't understand that Asomugha's contract was going to be a one-timer. I don't recall Revis getting a similar contract to end his holdout, just getting some years removed and some bonus money getting moved up. In short, I think Asomugha can be had if he leaves Oakland for a decent amount. 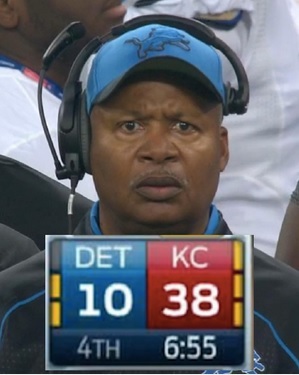 At least the Lions need to try. It seems impossible for us to get him and Tulloch. I'm now very glad that we did'nt sign Atogwe or Jarrad Page. We are now in a position to set up our secondary for the long term future. I really hope we draft a CB ealier than we did last year. Can anybody find a reliable list of DB & LB prospects going to the NFL? The dood is THE best DB in the game. Better than Revis without a shadow of a doubt. He's worth every penny. He can shut down any WR in the league. However, I see other teams giving him more than the kitties. our defensive line made chris houston look good. I would assume nnamdi could return to the top of the league playing here, not like he is that far off. i think mayhew and schwartz should go knocking at midnight. One issue here is that there is no "midnight" until a new CBA is put together. Until then, no free agents can sign anywhere else. So, as of now, there is literally nothing the Lions or any other team can do to contact and sign free agents. That said, I would be STOKED if the Lions could somehow sign this guy. What sets the "mid-night" rule? Is it the league itself, or is the CBA? If it is the CBA the provision would seemingly expire with the contract (in March of 2011) and it would be open season to contact players and sign them on the expiration of the old CBA. The league may have rules in place that govern the process, but I doubt it. The only thing is, I don't know what the current status is of players signing contracts that aren't under the CBA??? I'm guessing they would just be "on strike" until a new CBA is reached, and the contract to play for the team would go unfulfilled. I don't know the details. I'm basing my comments on what I've read from sources like Adam Shefter and others. For example, on his twitter account, Shefter wrote in response to someone asking if Nnamdi was a Colt yet: "Nnamdi can't be anybody until there is a new CBA. A long wait ahead." There are numerous other comments from other people like Peter King, ProFootballTalk, etc. that all say the same thing. So, my understanding is that the current CBA only governs through this season and doesn't apply to the next free agency period. In reference to players/trades/FAs and the CBA my understanding is that there will be NO player movement until a new CBA is signed which means that there will be no trades, no FA signings, no RFA tenders and no rookies signed....basically a pretty vanilla/boring off season until a new one gets signed. And no draft either. I am not sure about the Indy Combines. The combine and draft will take place, however those selected will not be able to sign contracts until the new CBA is completed. How can they have the draft? It is a collectively bargained out issue. # of rounds is Bargained out. With no CBA, the NFL could have 100 rounds if they wanted. They can't opt out of the last CBA in whole and yet keep 1 bargained out element of it. OK. I guess they can. LOL. The NFLPA must be the biggest group of dummies ever to unionize. LOL. Why would they ever agree to that? That is an issue that would hold the owners feet to the fire. If they couldn't hold the combines or the draft until a new CBA is agreed to, it would definitely benefit the players bargaining power. I understand where you are coming from, but the NFLPA could lose in the court of public opinion if they forced the NFL to not have the Combines or the Draft, which are big draws for TV and maintain high levels of interest in the league during the off-season. If they forced the owners to wait until after the CBA was put into place, it would force everything to happen in a matter of days, rather than weeks or months, thereby hurting the teams, the league and the players. I think the NFLPA has enough of a bargaining position to get fair treatment, and if they basically shut down the Combines and Draft, it would work against them with the fans. Well, I see your point. But, it seems to me that both sides would feel more urgency to get it done sooner rather than later then. If there were the urgency to get it done before the combines, the new CBA would likely be done already.